Aero Express is an Authorized Distributor for the Barfield 8000 Test Set. Aero Express will buy, sell and trade the Barfield 8000 depending on your needs. 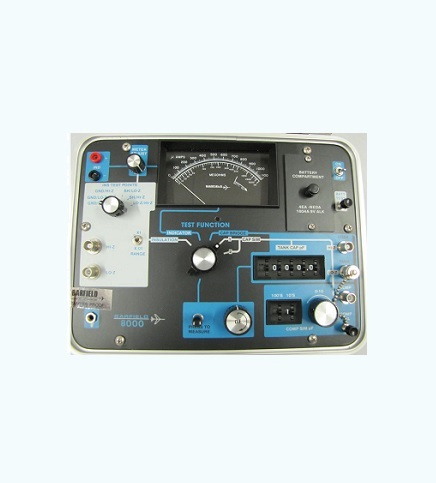 The model 8000 Fuel Quantity Test Set is identical to the 2548H specifications and appearance with the exception of being able to measure and simulate tank capacitance’s from 0.1 to 7999.9 pF and having a standard three terminal megohmmeter. A 115 VAC or 220 VAC AC Power Pack may be substituted for the battery pack when ordering a new Barfield 8000. Express Calibration is an Authorized ISO-17025 Calibration and Repair shop for the Barfield 8000. Visit www.expresscal.com for full capabilities.